A Career Pathway is a series of connected education and training programs and student support services that enable individuals to secure a job or advance in a demand industry or occupation. At RSD, our goal is to enable students to prepare for a successful career after high school. Design & Modeling – In this unit, students begin to recognize the value of an engineering notebook to document and capture their ideas. They are introduced to and use the design process to solve problems and understand the influence that creative and innovative design has on our lives. Students use industry-standard 3-D modeling software to create a virtual image of their designs and produce a portfolio to showcase their creative solutions. This course must be taken in sequence with Automation and Robotics. Automation & Robotics – Students trace the history, development, and influence of automation and robotics. They learn about mechanical systems, energy transfer, machine automation, and computer control systems. Students use a robust robotics platform to design, build, and program a solution to solve an existing problem. The Magic of Electrons – Through hands-on projects, students explore the science of electricity, behavior, and parts of atoms, and sensing devices. Students acquire knowledge and skills in basic circuitry design and examine the impact of electricity on our lives. This course must be taken in sequence with The Science of Technology. The Science of Technology – How has science affected technology throughout history? To answer this question students apply the concepts in physics, chemistry, and nanotechnology to STEM activities and projects. This course must be taken in sequence with The Magic of Electrons. Career Medical Detectives - Explores the biomedical sciences through hands-on projects and labs that require students to solve a variety of medical mysteries. Students investigate medical careers, vital signs, diagnosis, and treatment of diseases, as well as human body systems such as the nervous system. Genetic testing for hereditary diseases and DNA crime scene analysis put the students in the place of real-life medical detectives. App Creators– This unit will expose students to computer science by computationally analyzing and developing solutions to authentic problems through mobile app development, and will convey the positive impact of the application of computer science to other disciplines and to society. 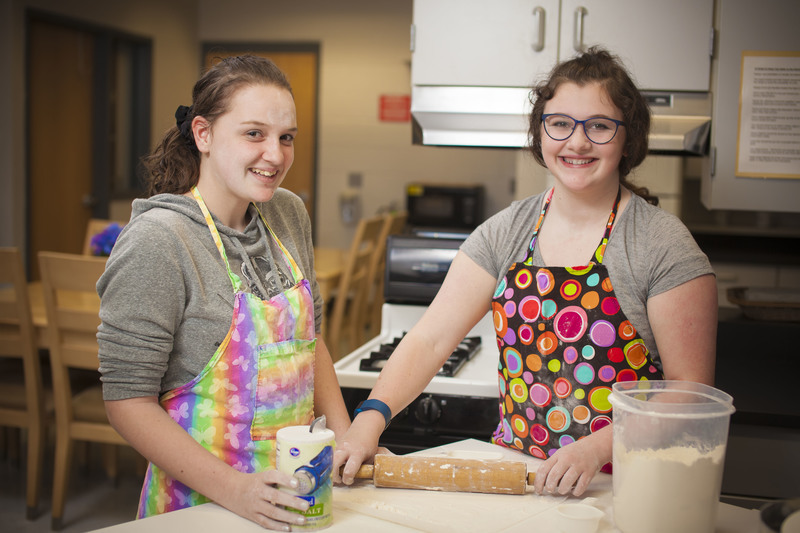 Students will customize their experience by choosing a problem that interests them from the areas of health, environment, emergency preparedness, education, community service and school culture. Because problems in the real world involve more than one discipline, the unit will introduce students to biomedical science concepts as they work on solutions for the specific problems they choose to tackle. In Principles of Biomedical Sciences, students investigate the human body systems and various health conditions including heart disease, diabetes, sickle cell disease, hypercholesterolemia, and infectious diseases. They determine the factors that led to the death of a fictional person and investigate lifestyle choices and medical treatments that may have prolonged the person’s life. The activities and projects introduce students to human physiology, medicine, research process, and bioinformatics. This course is designed to provide an overview of all courses in the Biomedical Sciences program and lay the scientific foundations for subsequent courses. This class involves a variety of independent and group work. Students must be motivated and manage time well. Principles of Biomedical Sciences are hands-on and research-based. *This course has been designated by RHS as an honors course. Upon completion of this course, students will have developed skills that promote a positive influence on the quality of life. Family and Consumer Sciences is the foundation or core class to become a Career/Technical Education (CTE) completer in FACS. 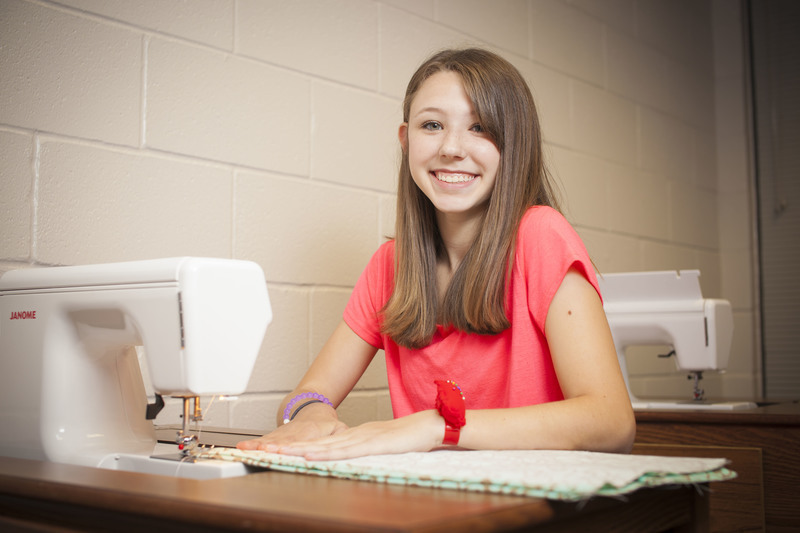 Students must take this class in ninth or 10th grade along with four semesters of FACS related classes in high school to receive a total of three credits to be a FACS completer. This is a one-semester course for eighth-grade students. It is designed to teach career development through research and understanding of self, and the world of work for college and career readiness. Students will be knowledgeable about career options, and the personal skills, aptitudes, and employer expectations of future careers of choice. Students will put their newly learned skills to work on mock interview day and use a variety of resources to explore future career options. 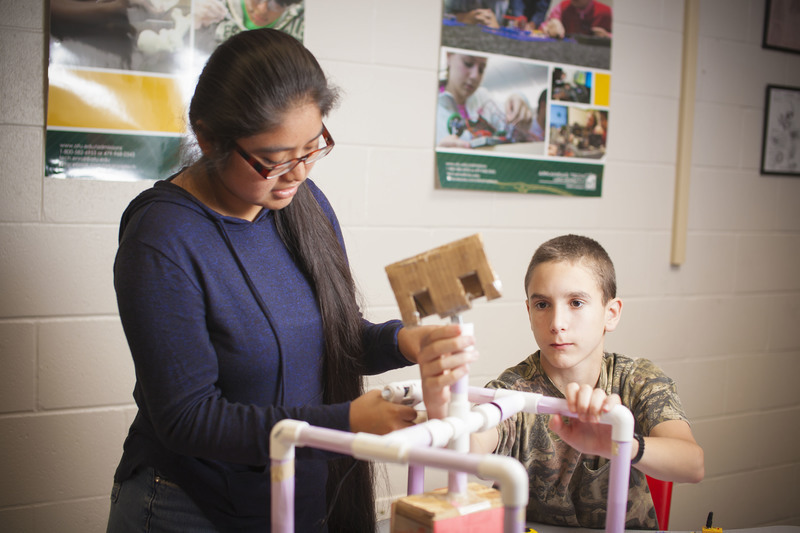 In Ninth Grade Introduction to Engineering Design, students dig deep into the engineering design process, applying math, science, and engineering standards to hands-on projects. They work both individually and in teams to design solutions to a variety of problems using 3-D modeling software, and use an engineering notebook to document their work. This class is the first course in the Project Lead the Way Engineering pathway and is also an Honors course. Computerized Business Applications is a full-year course designed to develop computer skills necessary for today’s technology workforce and for post-secondary education. Computerized Business Applications is an in-depth study of Microsoft Office, the prevalent software used by area businesses. Applications include word processing, database management, spreadsheets and analysis, telecommunications, and presentations. Graphics, e-mail, and Internet are also included. Environmental and Spatial Technology (EAST) is a multi-disciplinary technology course that gives students the opportunity to become experts in a variety of software and hardware applications while serving their school and community. Students have access to cutting-edge technology including digital video production, 3-D modeling and animation, music creation and audio editing, GPS and GIS, surveying and mapping, programming and coding, architectural design, computer-aided design (CAD), and engineering software. EAST students use self-direction, service, technology, and teamwork to engage in solving real-world projects that actually make a difference! EAST team building puzzle exercise. Engineering students working on a design. Students in Family and Consumer Sciences.